For this article, Reuters analyzed millions of data entries and spent months reporting from affected communities to show that, while government at all levels remains largely unable or unwilling to address the issue, coastal flooding on much of the densely populated Eastern Seaboard has surged in recent years as sea levels have risen. These findings, first reported July 10, 2014, aren’t derived from computer simulations like those used to model future climate patterns, which have been attacked as unreliable by skeptics [Wrong! These people are not skeptics, they are deniers funded by the fossil-fuel industry.] of climate change research. The analysis is built on a time-tested measuring technology – tide gauges – that has been used for more than a century to help guide seafarers into port. Reuters gathered more than 25 million hourly readings from National Oceanic and Atmospheric Administration tide gauges at nearly 70 sites on the Atlantic, Gulf and Pacific coasts and compared them to flood thresholds documented by the National Weather Service. The analysis was then narrowed to include only the 25 gauges with data spanning at least five decades. It showed that during that period, the average number of days a year that tidal waters reached or exceeded flood thresholds increased at all but two sites and tripled at more than half of the locations. 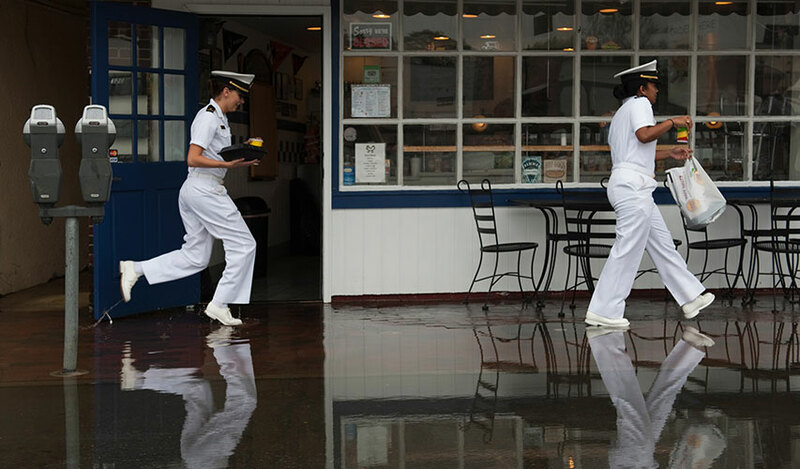 Since 2001, water has reached flood levels an average of 20 days or more a year in Annapolis, Maryland; Wilmington, North Carolina; Washington, D.C.; Atlantic City, New Jersey; Sandy Hook, New Jersey; and Charleston, South Carolina. Before 1971, none of these locations averaged more than five days a year. Annapolis had the highest average number of days a year above flood threshold since 2001, at 34. On the Delmarva Peninsula, the annual average tripled to 18 days at the Lewes, Delaware, tide gauge. The flood threshold does not measure actual flooding. It indicates the level at which the first signs of flooding are likely to appear – ponding on pavements and such. The higher the reading, the higher the probability of closed roads, damaged property and overwhelmed drainage systems. Scientists consider the readings to be a reliable indicator of actual flooding. The Reuters analysis shows that the “impacts of climate change-related sea level rise are increasing frequencies of minor coastal flooding,” said William Sweet, an oceanographer for NOAA who led a team of scientists that released similar findings in late July. The NOAA study examined 45 gauges and found that flooding is increasing in frequency along much of the U.S. coastline and that the rate of increase is accelerating at sites along the Gulf and Atlantic coasts. The nation’s capital isn’t immune. 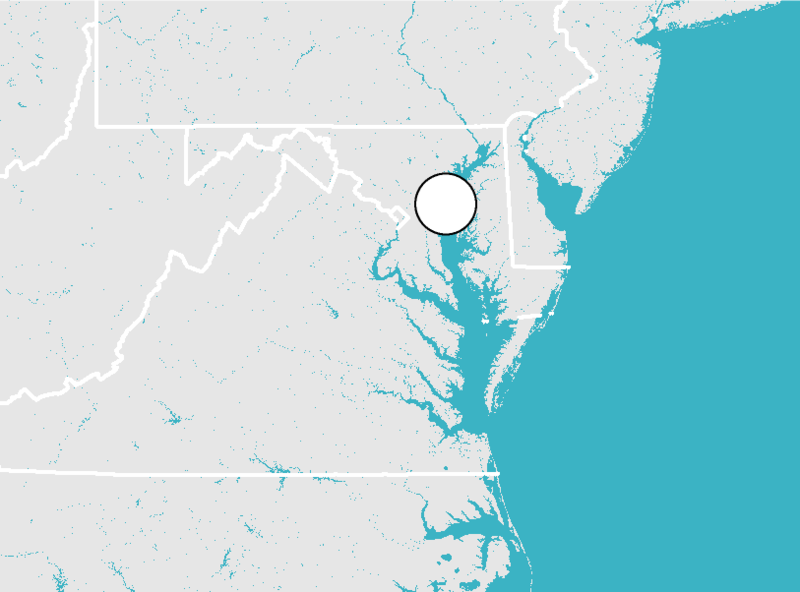 The Potomac River turns into a tidal estuary just north of Washington as it flows toward Chesapeake Bay to the south. The average number of days a year above flood threshold has risen to 25 since 2001, up from five before 1971. In 2010, the U.S. Army Corps of Engineers began a $4.1 million project to close gaps in the line of flood protection for Constitution Avenue and the Federal Triangle area – home of the departments of Justice and Commerce, the National Archives and the Internal Revenue Service. The corps expects to finish in late autumn a 380-foot-long, 9-foot-tall barrier across 17th Street near the Washington Monument. It still needs to raise by up to 3.5 feet a massive earthen berm built in the 1930s on the north side of the Lincoln Memorial Reflecting Pool. But Congress – high and dry on Capitol Hill – hasn’t approved the $7.1 million needed to finish that and two smaller projects. The Army Corps of Engineers, the agency charged with reducing flood and storm damage on the nation’s coasts and inland waterways, recommended the project in 1992. Congress authorized it in 1999. “We’ve been waiting for appropriations for a long time,” said Jim Ludlam, the corps’ civil engineer on the National Mall project. Congress chooses which corps projects to fund on a piecemeal basis. It has $60 billion in approved but unfunded projects gathering dust on its shelves, including 34 authorized by lawmakers this spring. The sums involved dwarf the $2 billion a year the corps typically receives for construction, aside from disaster funding. As a result, “we will be constructing water projects to solve past problems for the next 40 years” as the money is slowly made available, said David Conrad, a water resources policy specialist in Washington. The wait list is symptomatic of a larger problem hindering efforts to deal with rising seas: the U.S. government’s inability to confront the issue head-on. Engineers say there are three possible responses to rising waters: undertake coastal defense projects; adapt with actions like raising roads and buildings; or abandon land to the sea. Lacking a national strategy, the United States applies these measures haphazardly. Sea level rise has become mired in the debate over climate change. And on climate change, the politically polarized U.S. Congress can’t even agree whether it’s happening. The stalemate was on display in May, when the administration of President Barack Obama released its updated National Climate Assessment. The 841-page report was five years in the making, with input from more than 300 scientists, engineers, government and industry officials and other experts, a 60-member advisory committee and more than a dozen federal departments and agencies. It was among the first major assessments of climate change to move from predictions of disaster to point out the effects that can already be seen: record-setting heat waves, droughts and torrential rains. At or near the top of the list of the most pressing concerns is “the issue of sea level rise along the vast coastlines of the United States,” Jerry Melillo, a scientist at the Marine Biological Laboratory in Woods Hole, Massachusetts, and chairman of the advisory committee, said at a briefing on the report. A Reuters analysis of more than 25 million hourly readings from nearly 70 tide gauges around the United States shows that at most locations, the mean sea level has risen steadily in recent decades. Flooding has increased, too, as measured by the number of days a year that readings exceeded flood thresholds set by the National Weather Service at the 25 gauges with data spanning five decades or more. Source: Reuters analysis of NOAA tide gauge data. Note: Years are meteorological years, May 1 to April 30. Mean sea level analysis excludes years for which fewer than 11 months of data were available; analysis of flooding days excludes years where data was available for fewer than 292 days. But after three decades and more than $47 billion in direct federal spending on climate change research, Congress hasn’t passed a major piece of legislation to deal specifically with the effects of rising sea levels. The irony is evident at Wallops Flight Facility. They’ve found the same thing is happening to Antarctica’s ice sheet – seven times larger than Greenland’s. Their discoveries underpin predictions of rising seas for decades to come. The scientists don’t have to look far to see the consequences of rising seas. Wallops Island is gradually being inundated. Yet this bastion of climate research has been slow to apply the science of sea level rise to its own operations. Officials here are embarking on expansion in the face of increasing assaults from the sea. The Arctic research program’s aircraft is safely ensconced in a hangar on the mainland. But a billion dollars in assets – 50 NASA structures including three sub-orbital spacecraft launchers, as well as a commercial spaceport and a Navy surface combat training center – cluster on Wallops Island. The launch pads sit at the south end of the island, “the most vulnerable part,” said Caroline Massey, assistant director of management operations at Wallops. Moving them farther north would put them too dangerously close to the people of Chincoteague, she said. But Wallops Island has been losing an average of 12 feet of shoreline a year. A seawall three miles long and 14 feet high intended to protect the launch structures hasn’t stopped the flooding. Rather, it has allowed wave action to consume the natural beach that once served as a shoreline buffer. In January 2009, a federal interagency assessment of the mid-Atlantic coast said that both Wallops and nearby Assateague islands may have crossed a “geomorphic threshold” from a relatively stable state into a highly unstable condition – one in which rising seas could trigger “significant and irreversible changes.” The islands could shrink, move or break apart. Ten months later, construction started on a $15.5 million rocket assembly building and a $100 million launch pad 250 feet from the pounding surf on the south end of the island. In early 2010, Wallops officials proposed a $43 million project to extend the sea wall by about 1,400 feet and build a new, 4-mile-long beach to better protect their growing assets on the island. As required by law, they released a draft environmental impact statement on the plan. Reviewers from state and federal agencies criticized the 348-page document for failing to adequately take rising sea levels into account in the project design and impact, or to temper future plans for expansion. Even NASA’s own technical review team noted the “short shrift” given to the problem. Wallops officials responded by nearly doubling references to the effects of sea level rise in the impact statement. But in the official record of the decision, which announced Wallops would proceed with the project, sea level rise isn’t mentioned anywhere. Joshua Bundick, Wallops’s environmental planning manager, explained that he distilled the issues “down to only the highest points,” and sea level rise wasn’t among them. Before work began, Hurricane Irene hit in August 2011. The storm surge did $3.8 million in damage to Wallops and closed it for weeks, Massey said. Work was finally finished in August 2012. Two months later, Sandy ripped out large hunks of the wall, sparing the buildings but washing away a quarter of the 3.2 million cubic yards of new beach sand. An additional 10 percent has eroded away since then, Massey said. 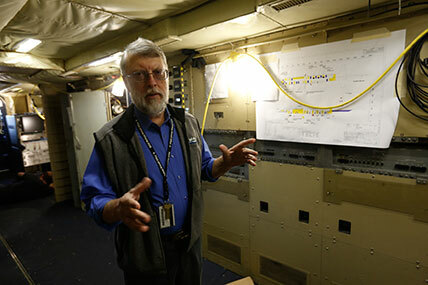 An $11 million redo, paid out of the Sandy relief fund, began in July, and Wallops officials are considering adding another launch pad, she said. The island community of 3,000 attracts more than a million tourists a year.As NASA stays the course at Wallops, the federal Fish and Wildlife Service is sending a different message to the town of Chincoteague next door. The big draw is Chincoteague National Wildlife Refuge on Assateague Island, just east of Chincoteague. Its 14,000 acres of wild beach, wetlands and loblolly pine forest provide habitats for the endangered Delmarva fox squirrel; the piping plover, a threatened beach-nesting bird; and up to 150 Chincoteague ponies, feral animals descended from a herd brought to the island in colonial times. The only way to get to the beach is to drive through town, and many visitors eat, shop and sleep there. Tourism accounts for about two-thirds of the jobs in town, state and federal records show. The problem is that the beach has been retreating at an average rate of 10 to 22 feet a year amid bigger and more frequent storms. The cost to American taxpayers of repeated destruction of the parking lot and causeway from rising sea levels would only increase, Fish and Wildlife officials said. In 2010, the agency came up with a proposal: close the existing recreational beach and relocate it a mile and a half north, where the shoreline was retreating at a third of the pace. The new site would have a smaller parking lot to limit disturbance to wildlife, and visitors would be shuttled from a satellite lot in town. “It’s incumbent on us to look further down the road,” said Hinds, the refuge manager at the time. Chincoteague was incensed. Town leaders pointed to a survey in which 80 percent of visitors said they would not continue coming to the beach if they had to park in town and take a shuttle. Residents also feared that Fish and Wildlife would let the southern end of Assateague Island erode away if the beach were moved. The southern tip of the island shelters a nascent shellfish aquaculture industry and buffers Chincoteague from storm surges. She blames the government, not rising sea levels, for the beach’s flooding problems. The refuge hasn’t taken steps to protect the shoreline, such as replenishing the beach with sand, she said. “There’s going to be nothing left to protect us,” she said. The agency compromised somewhat, releasing an official draft plan in May that would relocate the beach to the less unstable site, but keep the parking area at its current size, as long as there’s enough land to do so. Building a new parking lot, access road and visitor station would cost $12 million to $14 million. As many residents feared, this plan would not replenish the sand at the southern end of Assateague or at the new site as they erode. A public hearing in Chincoteague on June 26 failed to settle the matter. Thornton is calling for more study before officials at Fish and Wildlife make a decision. Once a decision is made, Fish and Wildlife will probably have to seek federal funding from Congress to proceed with relocation.